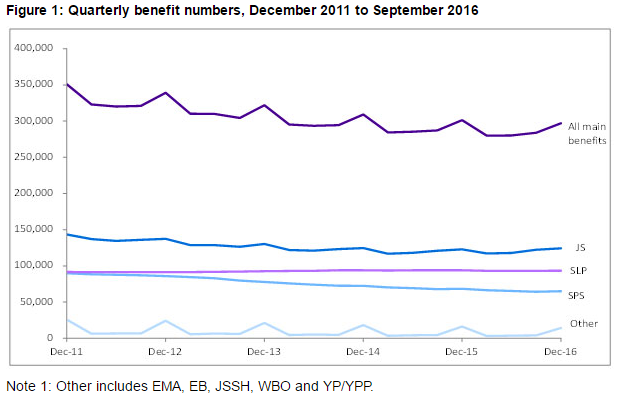 Latest benefit statistics show painstakingly slow progress on raw numbers. But a few other aspects can be considered. 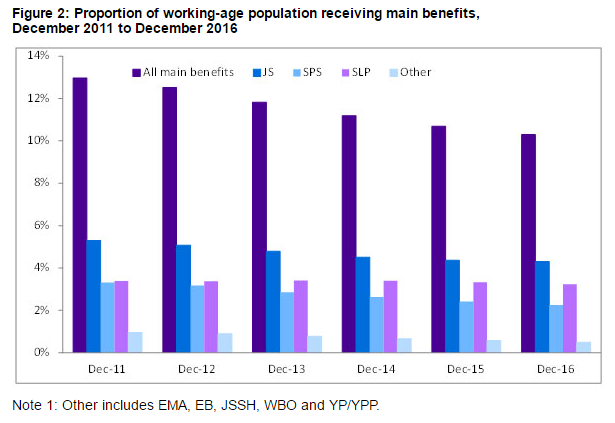 "The majority (70.4 percent) of main benefit recipients had been receiving a benefit continuously for more than one year." This proportion has been constant since at least 2010. 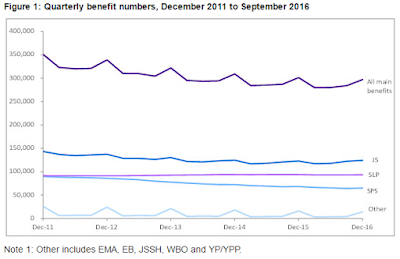 Bearing in mind that in December there are more temporary beneficiaries, during the rest of the year the percent who have been continuously dependent for more than a year increases to around 73%. How have other characteristics changed? 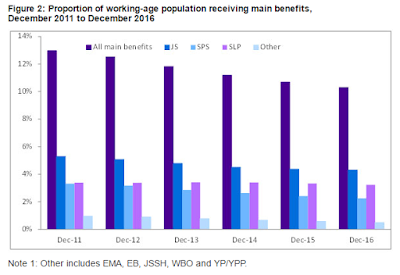 You would hope that the beneficiary population would be ageing as proof the reforms to discourage young people from becoming dependent early are working. Further analysis of the 18-24 year-old group is required to make sound conclusions but on the face of it, not a great result. And while there are probably slightly fewer Maori beneficiaries, their disproportionality has worsened. The lower ratio of female dependence is largely a result of the fall in sole parents on a benefit. As an electoral issue welfare seems to have faded away. I'm not sure why. It's still a huge concern to have one in ten people unable to support themselves, for whatever reason.The focus certainly seems to have shifted more towards the 700,000 plus people who are supported by the taxpayer by dint of age. I don't want to have an argument about Super and entitlement etc. but the economic future implications cannot continue to be ignored. To keep an issue in the limelight strong opposition activity is required. 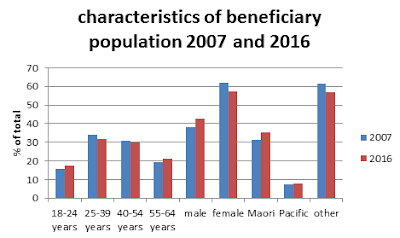 Labour and the Greens can only complain that the government is being too hard on beneficiaries and I don't think that is gaining any traction. They can't attack them on performance unless they can promise to do better. And they don't have any good ideas about how. "Marriage is a dirty word?"